What are the Different Types of Online Adult Education Courses? Most online adult education courses can be broken into three main categories: continuing education, professional credentialing, and first-time degree. Online adult education courses offer the opportunity for people to get their high school diplomas. Online education courses offer convenience and flexibility. The growth of the Internet has opened up numerous education possibilities for adults in the form of online classes, courses, and degree programs. With an Internet connection and a modest tuition payment, adults can earn their high school diplomas, finish or begin university degrees, or take individual courses in fields as diverse as microbiology and Italian cooking. Online classes can lead to the start of a career, can help with career advancement, and can satisfy later-in-life curiosity on a whole host of topics. There are as many different types of online adult education courses as there are reasons to enroll, and the variety and offerings changes on a regular basis. Online learning exploded in popularity in the early years of the 21st century. Universities have long offered correspondence courses to adult learners who for whatever reason are unable to travel to a traditional campus, but the wide availability of Internet technologies has made those opportunities open to a much wider body of potential students. Many universities offer online correspondence-style courses, but are joined now by new online-only institutions. In most online schools, the online campus is the only campus, and courses and teachers are accessible anywhere there is a connection. Most online adult education courses can be broken into three main categories: continuing education, professional credentialing, and first-time degree. Continuing education is frequently offered by brick-and-mortar universities as a way to offer advanced-level courses and specialized classes to busy professionals. These classes are designed to sharpen the knowledge of someone who already works in the field or wants to learn about the field, and are typically offered on a stand-alone basis. Examples of continuing online adult education include courses on foreign languages for those in international business or planning travel abroad; one to three-credit courses on taxation policy, enabling lawyers to brush up on current trends; and business methods courses for corporate managers and leaders. Some adult learning programs are designed not just to give professionals knowledge, but also to allow them to advance in their careers by procuring a higher degree. Advanced and specialized law degrees, business administration degrees, and master’s degrees in any number of fields are examples. These types of online degree programs are available through many schools’ online adult education courses program, and are often offered on a flexible, multi-year schedule. Occasionally, schools require a certain percentage of classroom learning for online learning programs. When required, it is typically offered as a condensed week or weekend seminar on campus. Other programs allow all work to be completed remotely, though there is frequently an online participation requirement. Some schools offer an online option that closely mimics a parallel classroom experience, often with streaming video lectures, collaboration with classroom-based students, and an identical exam and grading curve, if applicable. Even some online schools require online chat and video interactions, but it is more common for online-only programs to grant students more flexibility in terms of academic schedule and timelines for completion. Many of the most popular online adult education courses allow participants to receive initial degrees and career training. 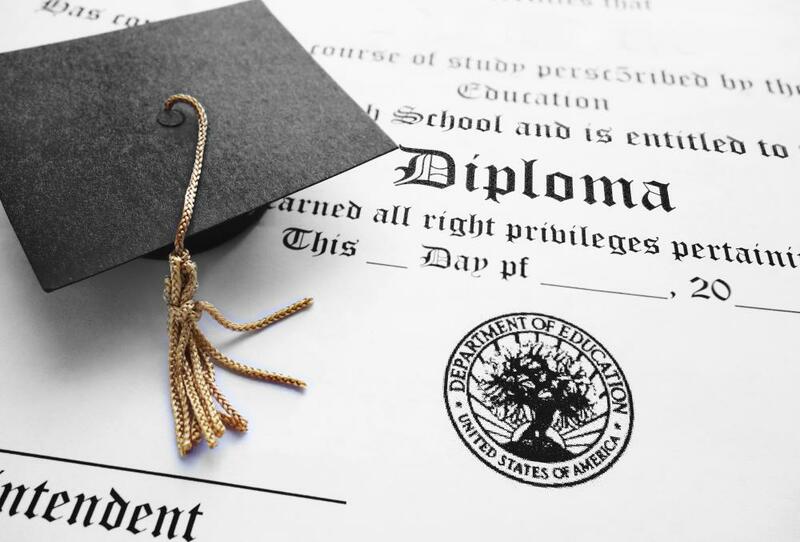 This often starts with a high school diploma: a plethora of online institutions offer coursework online to enable adult learning participants to earn a high school diploma or diploma equivalent over the Internet. Similarly, there are many online programs geared towards specific vocations. These courses allow adult students to earn an initial degree in a certain career field, or to retrain for a new profession. They are are often marketed as “lifelong learning” programs, and contain career tracks as varied as dental hygiene, computer technology, and radiology technician certification. Just as there is no one type of adult education school, there is no one type of adult education course. The Internet is brimming with educational opportunities, and there are online adult education courses for almost every educational interest. Some classes are taught as distance learning courses, while others are completely contained online. Certain online programs are considered prestigious, while others are not always highly respected. As the Internet continues to expand and online education continues to grow in popularity, the likelihood of seeing still more offerings in the time ahead seems high. What Are the Best Tips for Online Learning? How Do I Choose the Best Online Italian Classes? What Are the Different Types of Grants for Online Classes? How Do I Choose the Best Adult Education Courses? What Are the Different Types of Open Learning Courses? What are the Best Methods for Teaching Adult Education?